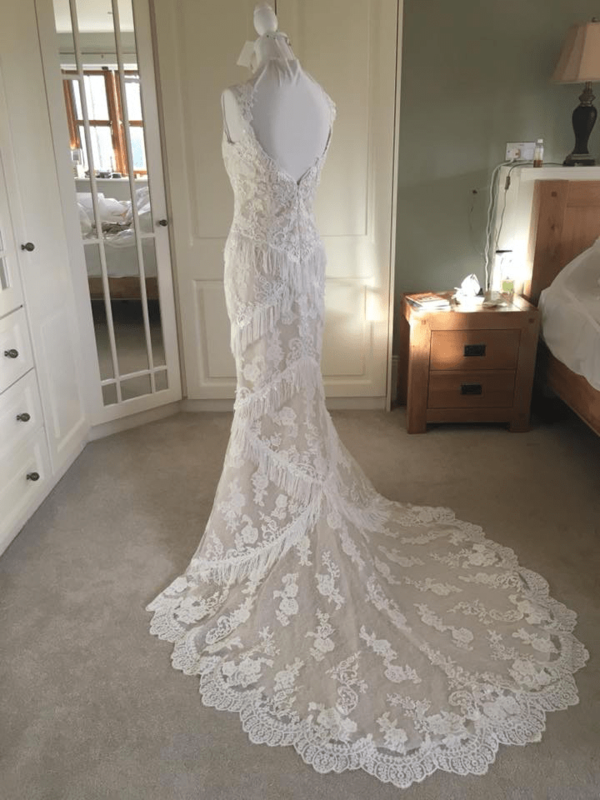 Stunning designer Wedding Dress from Reinold Collection 2016/17. Immaculate condition. Professionally cleaned. Colour ivory. Almost Vintage like. 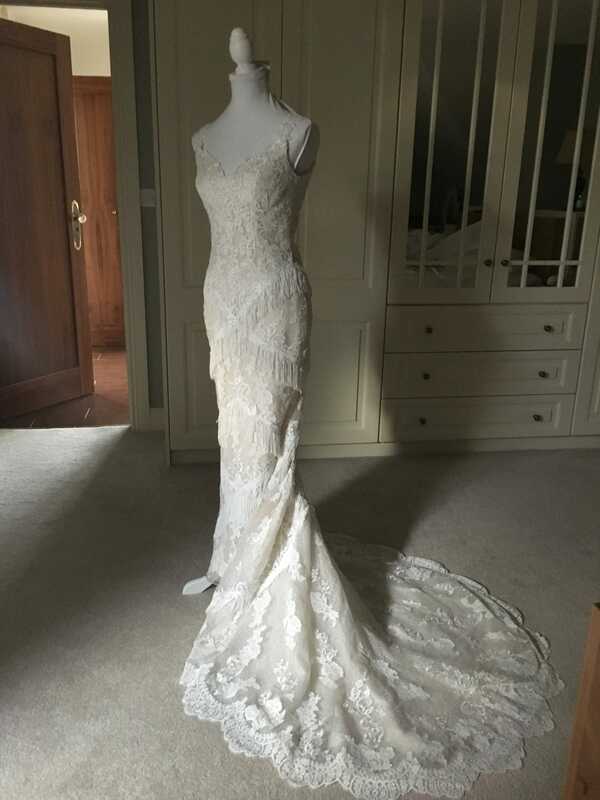 Description: Mermaid shape dress in tulle with beige underlay decorated with beautiful detailed lace, guipure and fringe appliqués. Bodice with V-neck at front and back and straps. Light weight. Very comfortable to wear and dance in. Includes bustle at back. Additional or separate . 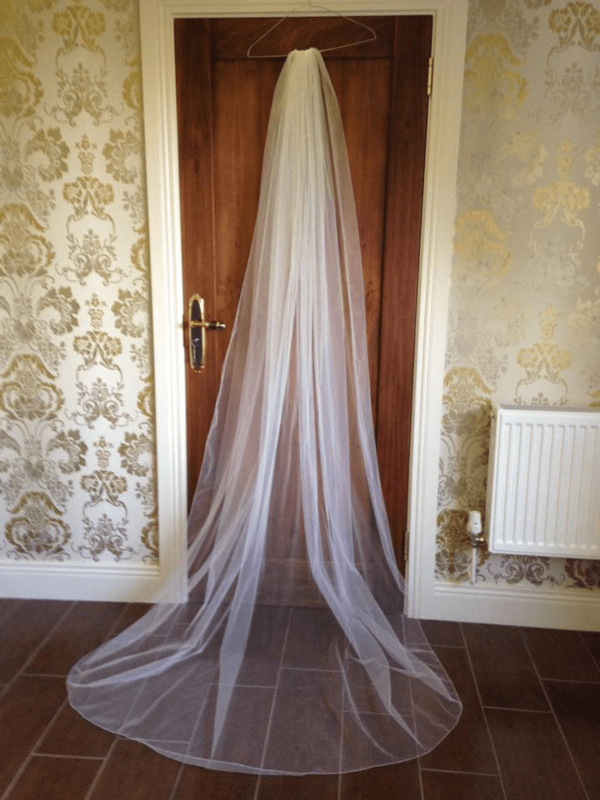 Elegant long Veil is 95″ / 240cm inches long. With head comb attached to veil.